Established in 1915, Ivanhoe Grammar School is a multi-campus, co-educational independent Anglican school with a proud tradition of academic, sporting and personal success. One of the school's strengths is that it takes full advantage of modern technology - with an emphasis on wireless - for teaching and learning applications. Playing a major role in this is the increasing use of wireless-enabled Epson projectors. For Chris Ross, the school's ICT (Information Communications and Technology) Administrator, wireless networking is often the only way to bring technology on line. "We have very large campus areas," he says, "and the logistics and costs involved in providing campus-wide access in a strictly hardwired network environment would be absolutely prohibitive. "All of our students in Years 5 through to 12 have notebook computers, which they use right across the entire curriculum. Whether they are in a class or in the grounds, they have the ability to log on wirelessly to the network and access resources such as the Internet and the school's intranet." Flexible and secure networking a definite "must have"
With projectors being used extensively throughout the school, Ross set out to identify the best possible projector model that would fit into the school's hardwired and wireless network mix. "Flexibility and security were two of the main features I was looking for in the new model's network support," he says. "When you have 1200 students with wireless-enabled notebooks, security becomes a very important issue." In order to encourage the use of technology in education, Ross makes the point that technology reliability is a crucial factor. "If things don't work properly, the teachers will simply lose confidence and be less inclined to use it in their classes," he says. "We've already seen this with some of our third-party projectors, where the build up of heat was so great that the projectors would simply shut themselves down." 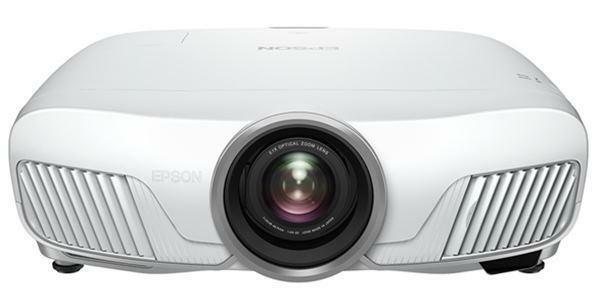 Following an evaluation of wireless-enabled projectors from various vendors, Ross opted to purchase Epson EMP-835 projectors. "One of the features I particularly liked about the EMP-835s when I evaluated them was that they used solid state 3LCD technologies - so, no moving parts - as opposed to the more mechanical DLP-type projectors," he says. "This meant there would be less heat generated and less mechanical components that could break down." With constant growth of the school's wireless network, the ability to configure the EMP-835 for either hardwired or wireless networking is ensuring high levels of flexibility. While the projectors are normally configured for networking via the built-in RJ45 Ethernet port, their high speed standard 802.11g wireless capabilities are set to be instrumental in promoting education and the school's international reputation. "Later this year , we're hosting an education conference with around 500 delegates attending from all around the world," Ross says. "Rather than going through the hassle - and expense - of laying out cabling for the two projectors we'll be using, I'll simply be plugging in wireless network cards and controlling them via my notebook." It is during that conference also that Ross will be taking advantage of one of the EMP-835's Epson EasyMP technologies, which supports simultaneous wireless connection of up to four projectors. With this feature, Ross will be broadcasting a single file out to multiple projectors located around the school's auditorium. Supporting the high image quality in this wireless environment is the EMP-835's Epson NS Connection software; data compression and decompression for computer to projector applications. At an administration level, the advanced networking technologies of the EMP-835 have significantly reduced the time and effort Ross would normally spend in problem identification and resolution. "Each of the EMP-835s has been configured for automatic e-mail notification if a problem occurs," he says. "With this, rather than getting a message from a teacher that 'something' has gone wrong with their projector, the projector itself sends out an e-mail that contains details of what the problem actually is. The result...a much quicker problem resolution process and less impact on the class." In an education environment where students are actively encouraged to exploit the full potential of the on-hand technology, there will inevitably arise situations where security represents a tempting challenge. According to Ross, even though there are strict policies within the school against any form of 'hacking', security best-practices - particularly in a wireless networking environment - are a constant requirement. "When our students attend a class in which they will be using their notebooks to control a projector, the teacher will provide them with a password specific to that lesson," Ross says. "At the completion of the lesson, the projector is turned off and that password is immediately invalid, with a new one randomly generated by the EMP-835 the next time it is turned on." That application of password protection is achieved by utilising the Power On Protect function, one of three password protect functions built in to the EMP-835 projector. Given the ever-present possibility of a projector being accidentally left on after a lesson, Ross is able to safeguard the projectors by taking advantage of another password protect function - Timer Protect. "With the Timer Protect function, it's a simple operation to set each projector to generate a new password after a specified amount of time has elapsed," he says. "Of course, added to this, is that I can access each of the projectors over the wireless network and remotely shut them down if I know they're not currently being used." When Ross evaluated the EMP-835, he paid particular attention to features such as brightness and screen size. "Ambient light is always an issue when it comes to projectors in our school," he says. "The last thing the teachers or students want is to have to get up and close curtains every time they use a projector. With a 3000 ANSI Lumens rating, the EMP-835s literally cut through the ambient light [sunlight and overhead lights] and deliver a very clear image." Adding even further to the EMP-835's suitability for the school is its project screen capabilities, which can go as high as 300-inches. "In most of our installations, we have the projectors set for a 120-inch screen," Ross says. "To do this, we have them set a fair way back, so this is another area in which their brightness is of particular benefit. "When you combine distance and ambient lighting, it takes a powerful projector to deliver the best image quality." "We have a policy that if we're happy with the technology we use, we won't change unless absolutely necessary. So for us, Epson appears to be the way forward."